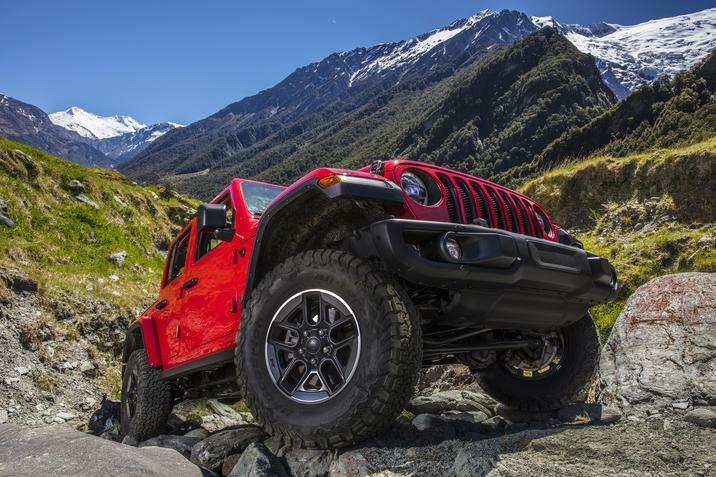 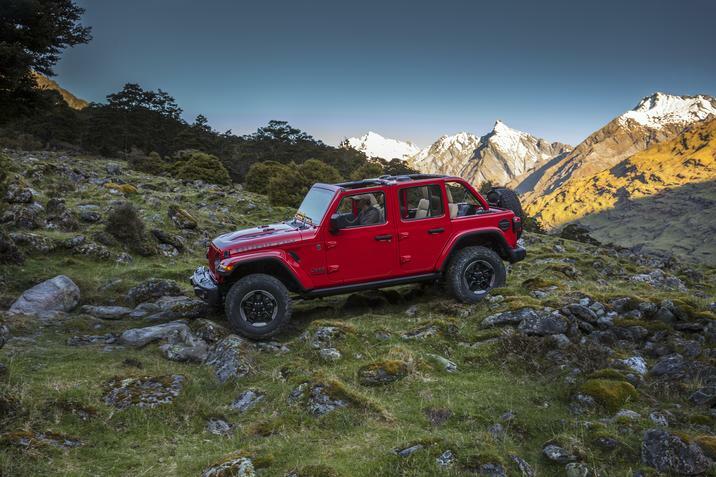 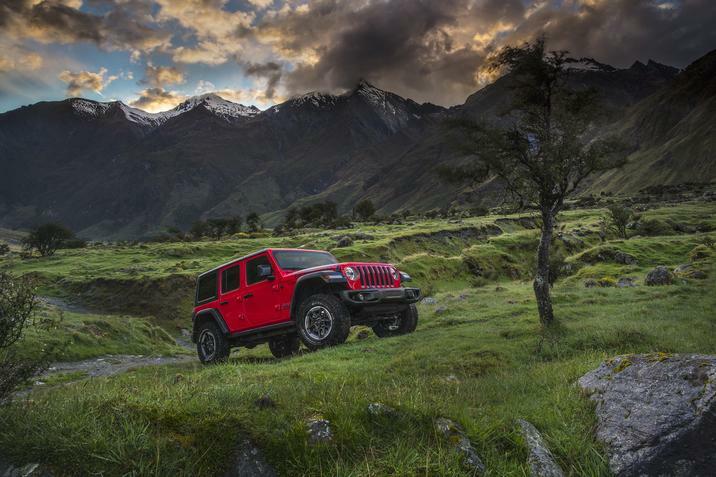 July 3, 2017 , Auburn Hills, Mich. – Jeep® Wrangler – the most capable and recognizable vehicle in the world – has earned the top spot on Cars.com’s annual American-Made Index for 2017, while Jeep Cherokee ranks second among all vehicles. 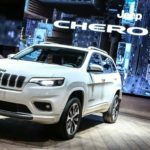 To make the American-Made Index, vehicles are evaluated on five key criteria, including assembly location, domestic parts content, country of engine origin, country of transmission origin and U.S. factory employment. 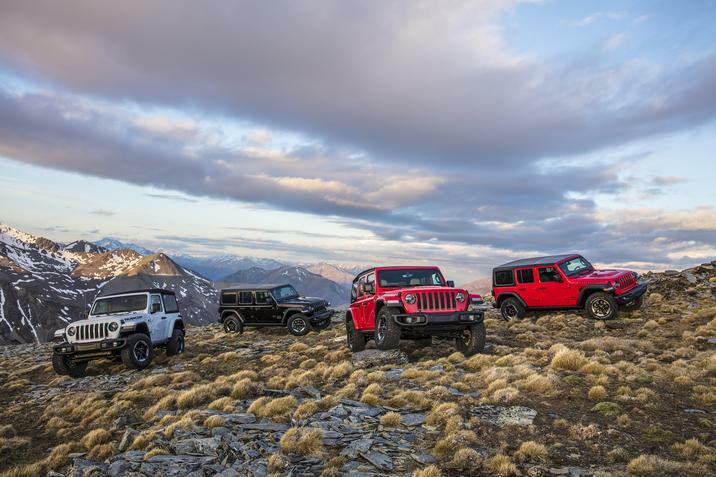 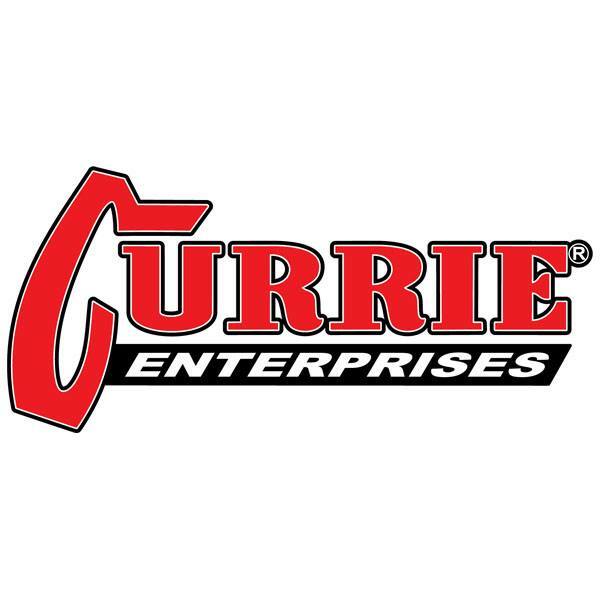 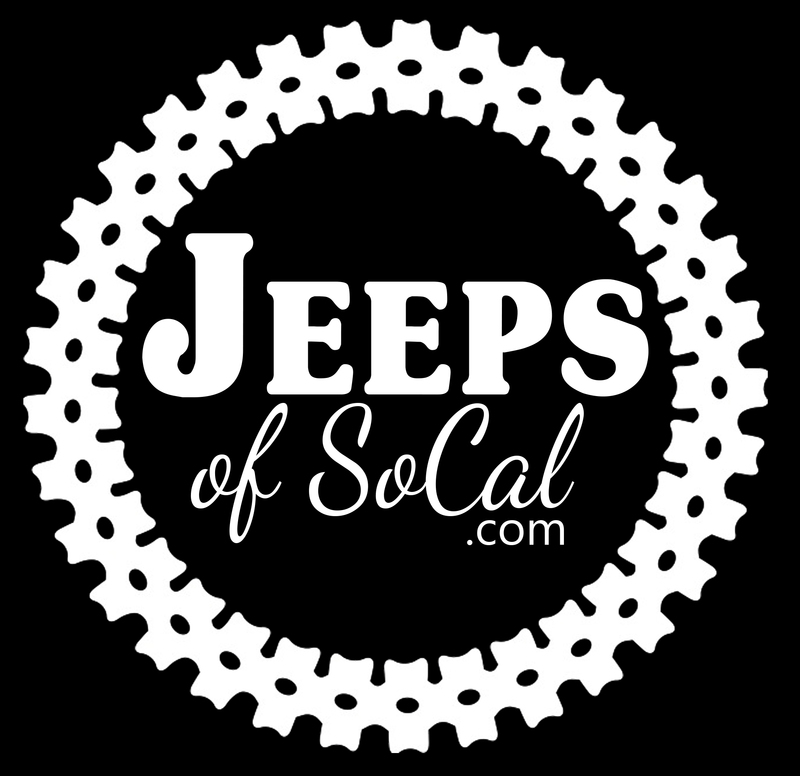 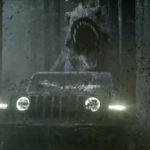 Cars.com determined that Wrangler’s domestic parts content was among the highest figures observed in this year’s American Made Index: 74 percent for Wrangler 2-door and 75 percent for Wrangler 4-door. 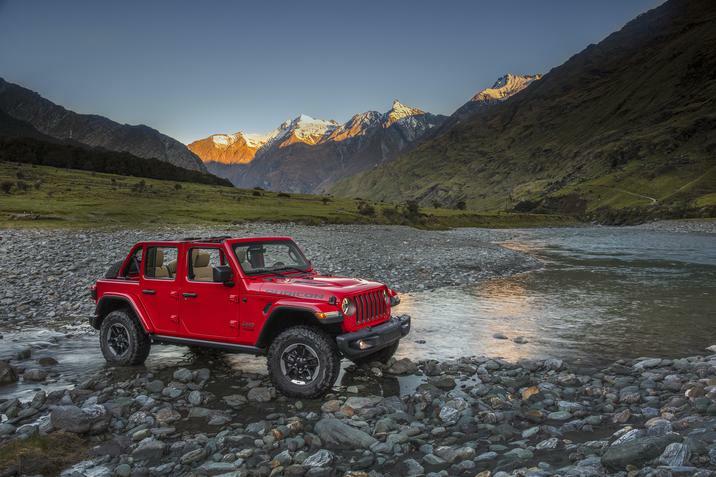 Wrangler is assembled in Toledo, Ohio. 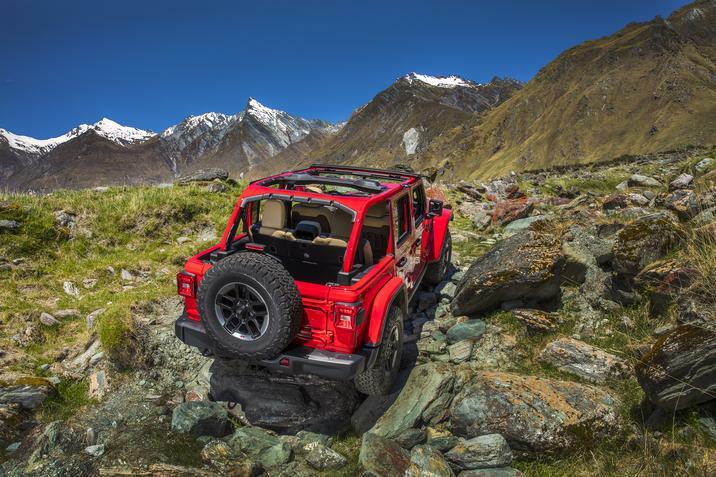 Jeep Wrangler features a standard eight-speaker audio system and an optional nine-speaker Premium Alpine Audio Package that includes a subwoofer and a 552-watt amplifier. 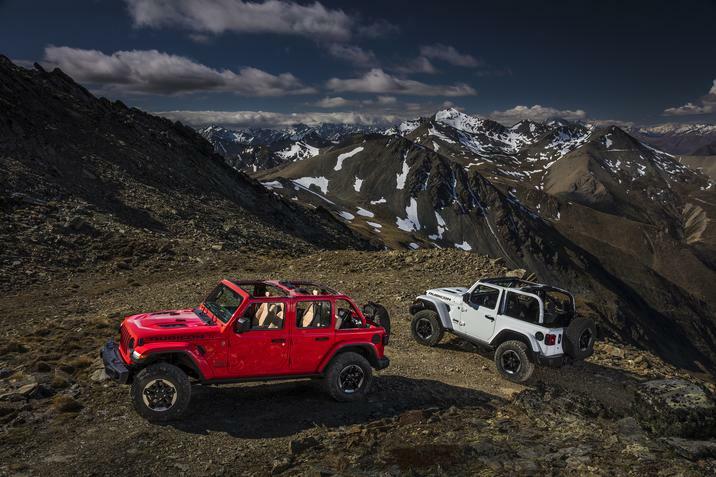 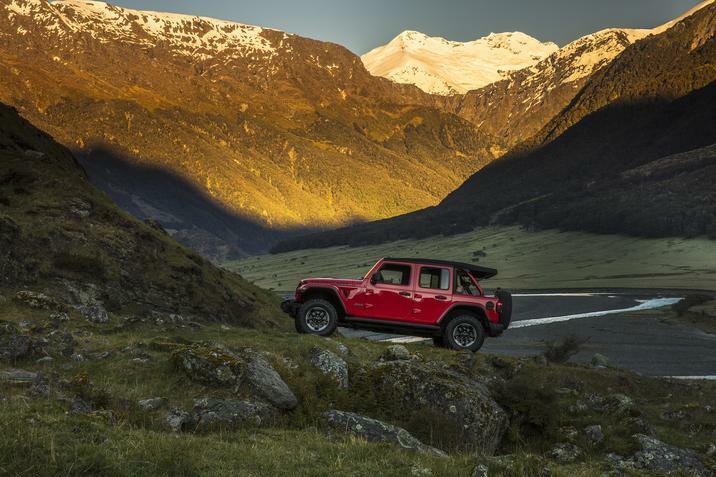 The Jeep Wrangler delivers unmatched off-road capability with legendary four-wheel drive and is produced with more than seven decades of 4×4 engineering experience. 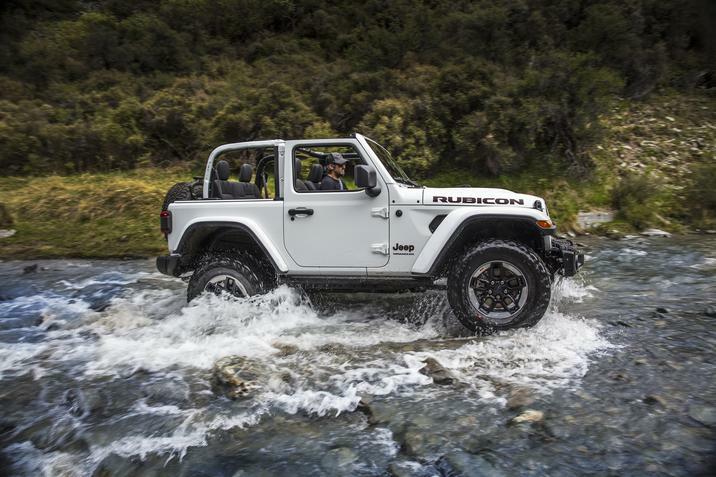 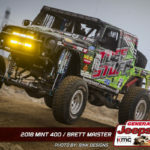 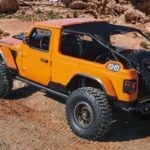 Wrangler continues to offer a body-on-frame design, front and rear five-link suspension system, live axles, electronic lockers and is one of the few mid-size SUVs that offer a six-speed manual transmission, in addition to its five-speed automatic. 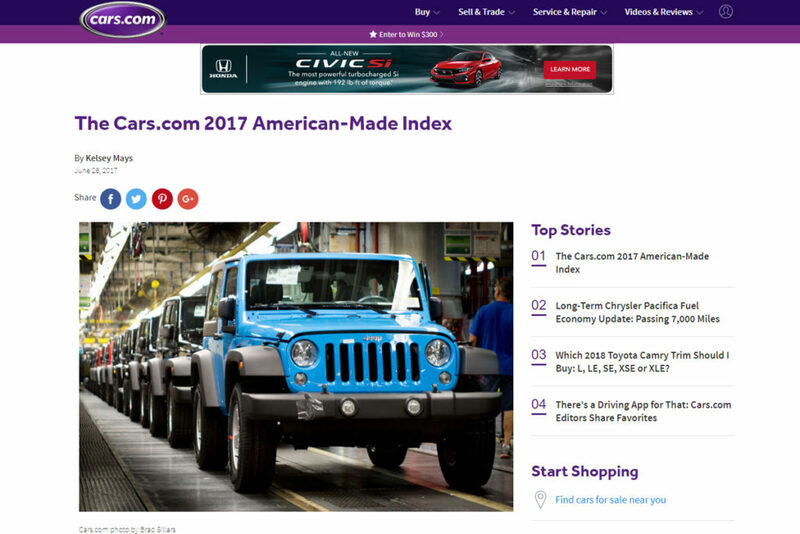 For more information on the 2017 Cars.com American-Made Index, including a deeper dive into the data and methodology, visit www.cars.com/news.